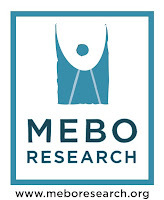 Karen of MEBO Research often arranges breath/body odor group meetups in London where people can chat with peers. 2 were held over the summer. Now it's time for an Autumn meetup. We can meet outside Natwest Bank, as it will be too crowded to meet in the middle of the square, but we can still see the street theatre from the corner where the bank is (Henrietta Street). There might be side effects from high dosages of resveratrol. Please double check with medical authorities. Thank you for pointing this out lasagrep kahaluu! I will make sure to note in the posts on resveratrol and DMB the cautions listed in the bottles.